E-cigarettes, or vape pens, work by heating a liquid containing nicotine until it vaporizes. 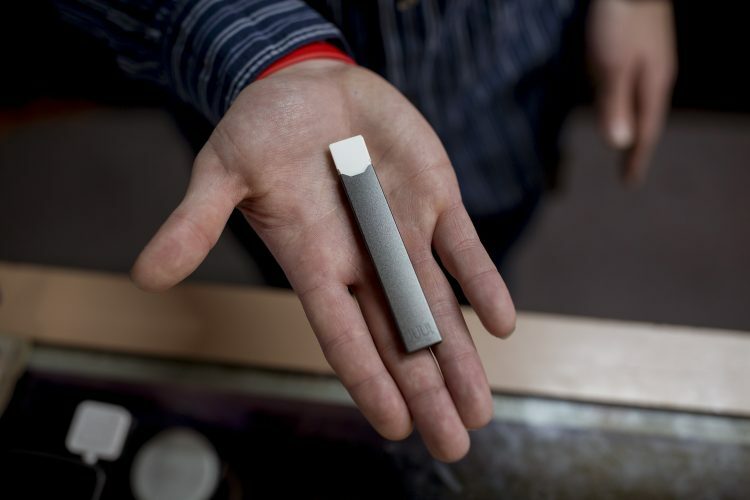 It is touted by experts that the rise in vaping is due in part the company Juul, which grabbed the attention of the adolescent market by creating an assortment of flavors that are high in nicotine content and shaping the devices like USB drives. Their sleek design and lack of e-cigarette smell make them particularly popular among teens who can easily disguise them. The numbers are staggering – a new study found that vaping increased nearly 80 percent among high schoolers and 50 percent among middle schoolers since last year. There are a multitude of dangerous effects that can occur if anyone, particularly children, uses nicotine regularly and for long periods of time. Nicotine is a highly addictive drug that has the ability to drastically alter brain chemistry up to the age of 26. It also engenders reductions in cognitive function in the prefrontal cortex which can lead to poor decision-making, reduced impulse control and increased mood disorders such as anxiety and depression. Adolescent years are vital in helping to shape and develop brain chemistry, which further stresses the dangerous effects of nicotine use in children. More alarmingly, nicotine has been found more addictive than alcohol – it was found that those who vape are more likely to abuse marijuana and alcohol. Many claim that e-cigarettes are healthier than cigarettes. However, e-cigarettes have many of the same addictive properties as cigarettes minus tobacco, which gives cigarettes their smell and flavor. Parents should be aware of the dangers of vaping and watch out for warning signs that their child may be vaping. With the multitude of health risks that vaping imposing on children’s development and health it is important for parents to inform and educate their children. They should also look for e-cigarettes in their child’s possession and any changes in behavior. Ultimately, vaping has become an epidemic that has crippled the health of youth in the U.S.
Photo courtesy of Portland Press Herald.